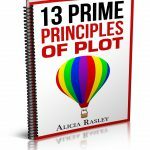 Click to download 13 plot principles. Welcome! I’m Alicia, and I hope I can help you plot that story you’ve been wanting to write. You’re here because you have a story idea. You have a desire to tell the story. But you need a plot. Well, I’m here to help. 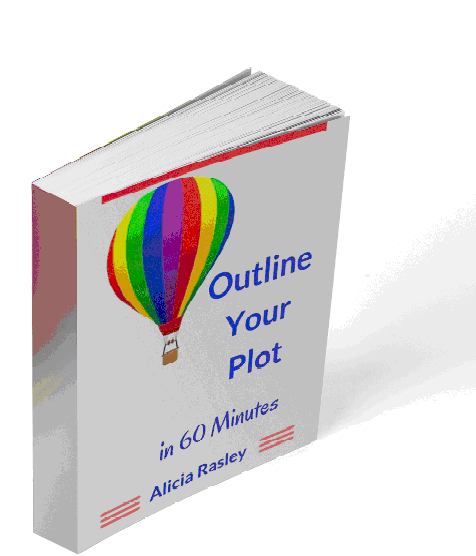 Let’s get started with this guide to the most important plot tenets and principles. If you’re intrigued, I have other booklets that can help you organize your story into a dramatic sequence of events. So watch for other freebies coming your way! And I’ll always be putting new articles and blog posts on my website: www.aliciarasley.com. I’ll also put up notices of courses and workshops I’ll be teaching. But you’re here to download the free book! Here you go! Alicia, I couldn’t have finished Jinx’s book without your guidance. :-) “Alicia is a wonder helping authors. She’s a fun, encouraging, and an amazing teacher. I was learning from her without even working at it. She worked with me every step of the way during the writing process of my book. If there’s anyone capable of helping you learn effective and great storytelling, it’s Alicia. She’s wonderful at helping you bring out the true nature of your characters goals, motivations, and conflicts; and when it comes to emotion, Alicia will help you bring that out too. She’s an expert in the craft of writing and knows a good story when she reads one.” Workshop Instructor, Author EM.S. Abbey MacInnis www.abbeymacinnis.com Independent women meet their match with heroes who need a good woman. @abbeymacinnis HIS FIFTH AVENUE THIEF, available now.